Having acquired Wazee Digital last month, AI specialist Veritone was on hand at IBC 2018 highlighting the expanded integration of its aiWARE operating system with Wazee’s Digital Core (SaaS digital-asset management) and Media Hub (video captured in a central location, then made available for global access) platforms. With the integration, Veritone is creating what SVP Drew Hilles calls an “end-to-end, AI-driven digital-asset–management and –monetization solution in the cloud,” which can serve both live-production and archiving needs, especially for sports content. Automatically generating relevant intelligent metadata within Core and Digital Media Hub, aiWARE will enhance archival search, improving efficiency as well as content discoverability and usability. Hilles and Wazee Digital CTO Greg Loose discuss why the deal made sense for both parties, how AI will benefit Wazee’s offerings, Veritone’s other recent acquisition of the Machine Box AI engine, what the power of AI brings to the broadcast industry, and how they see the role of AI changing in the coming year. Why does acquiring Wazee Digital make sense for Veritone? Hilles: I think it’s a great fit. If you look at the full end-to-end ecosystem, we look at it as four buckets: content curation, content distribution, content monetization, and content analysis and analytics. Now we can fill all of those buckets, using AI [to create] an end-to-end solution. We can empower media companies in a new way — whether it’s content curation and clipping and real-time highlights or it’s the monetization with enhancing their archive and then monetizing through Wazee’s Digital Media Hub product. Then we can add in analytics using both our tools. And it’s all cloud-based. Loose: We have been partners for two years before this, so we had already completed an integration, and we really ramped up efforts around the recent major tennis tournament in New York. We had some great interaction and cooperation between the teams and were able to demonstrate some of the cool use cases. Will the Wazee Digital brand be continued after the deal is finalized? Hilles: The Wazee brand is staying for now and will be [referred to as] a Veritone company. 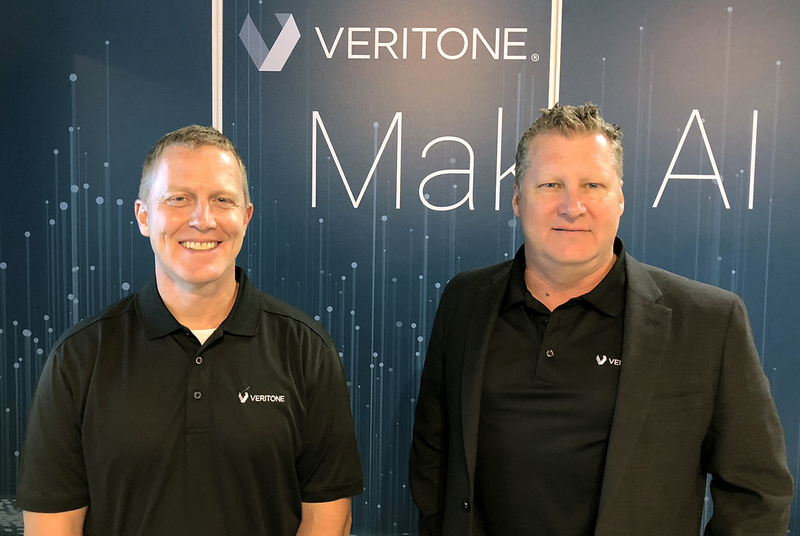 How do you see Veritone’s aiWARE directly benefiting Wazee’s media-asset– management and offerings? Loose: In sports, the archives tend to be very large. The NCAA archive, for example, has over a petabyte of content. So being able to apply AI against that entire library has significant benefits. In the near term, on the licensing side, we can uncover these moments that we really weren’t able to effectively find before. Moving forward, what is really exciting is how we can apply analytics [technology] from our Machine Box acquisition to training these engines around sports. And there are some great data-based highlights tools that can train against the sport-specific statistics and actions to allow [automated] real-time clipping. We can start having conversations based on revenue per clip now because the AI tools are bringing in more valuable, relevant content. It becomes a dynamic archive that is a living and breathing [system], which means more monetization. How do you see the combined entity impacting Wazee onsite services at major sports events? Hilles: These are big events that are very labor-intensive with a limited staff. Having been [onsite] at three recent big events, I can already see how we can integrate AI technology directly into the truck and run AI against the broadcast-quality [feed] in real time — as opposed to the low-bitrate proxies — to start doing identification and clipping at broadcast quality. There is more work we need to do and discussions we need to have with EVS and others, but I think that kind of [workflow] will start to become the holy grail. What about the Machine Box acquisition? How does that add to Veritone’s overall product offering? Loose: It’s a very smart group of folks that have been part of our partner ecosystem for a while. But, [with] our investment in data science and the data scientists that we have working for us, [we have] a group that could help build and train and refine these engines, [completing] this virtuous cycle of training. We’re also focused on creating some of our own proprietary IP. We don’t want to just go to the Googles and the AWSs and other third parties but control our destiny in some cases. We think that sports will be key to all this because you can apply [AI] sport by sport to decipher things that aren’t in the statistical data. Hilles: A lot of people say that the cognition game will commoditize over a period of time. We’ve been investing a lot in our data-science team to have some proprietary data science around these AI engines. We think that is going to provide us a strategic edge in the future and also enhance what we are offering right now. We think the world of Machine Box and what they’ve developed and the talent they have on staff. It’s going to add a data-science layer, which kind of goes into that conductor-orchestration layer that we have. So we’re pretty excited about the acquisition both long term and short term. How do you see AI providing deeper insight into the impact of advertising on major sports events? Hilles: We are launching a new [AI-powered] media-attribution application that tracks [the efficacy] of advertising for radio and TV. It correlates data from the broadcaster with the advertiser’s Google Analytics website data to show what kind of website hits they get after their logo is shown on-screen. You can actually define how a shot of Serena Williams’s shoe [during a tennis broadcast] generated searches for that shoe online. It’s very exciting technology. AI has been among the most hyped technologies at broadcast trade shows the past few years. At IBC 2018, is AI starting to become less about hype and more about real-world solutions? Hilles: That’s a good question, and it’s funny because AI is an extremely new category in the [broadcast market], but it has really rocketed to the top and has become a big buzzword. At the same time, it’s raised a lot of questions: How does AI work for my company? How does it make me more efficient, make me more money, and make me better and faster? But I really believe there is a different feel at this show, where people are finally believing that AI is real. Almost every company here at IBC has an AI-focused product or story to tell. What does Veritone have that all these other AI-technology providers don’t? Hilles: We’ve been around for a while now, and I think people are finally starting to see the strategic advantage we offer through the open ecosystem of 280 engines on the platform. But it really comes down to the data science, and we think the differentiator is our orchestration-engine conductor. [Our platform] will continue to grow, and, if we end up having 3,000 engines, no human can pick the right engine at the right moment for the right job. That’s where why we’re putting so much funding into data science at that orchestration layer because that’s what’s going to be critical moving forward. How do you see the role of AI evolving in the broadcast industry over the next 12 months, and how will Veritone be involved? Hilles: Now that we’ve been around for a few years, we’re starting to focus more on solving problems and being more efficient. We are trying to get away from talking about the recipe for engines and cognition and talk more about how we can solve problems and drive value. I also think client education will increase, and [clients] will be more willing to implement it in more ends of their business than just archive and compliance. And, lastly, I think you’re going to see content relevancy and recommendation [engines] get better and more powerful, which means more revenue. Loose: As the broadcast and digital worlds meet more and more, I think you’re going to see AI tools play a bigger role and bridge that gap. These [tools] are going to enable [content creators] to bring out some of those key moments in the action. Not many people are sitting and watching 12 hours of tennis or six hours of golf, but chunkable [short-form] content is more consumable than ever. I think bringing automation and AI to sports so they can be consumed at a chunk, highlight level is going to be very important. And then the monetization comes around on top of that, so there is something tangible that we can bring out of this.